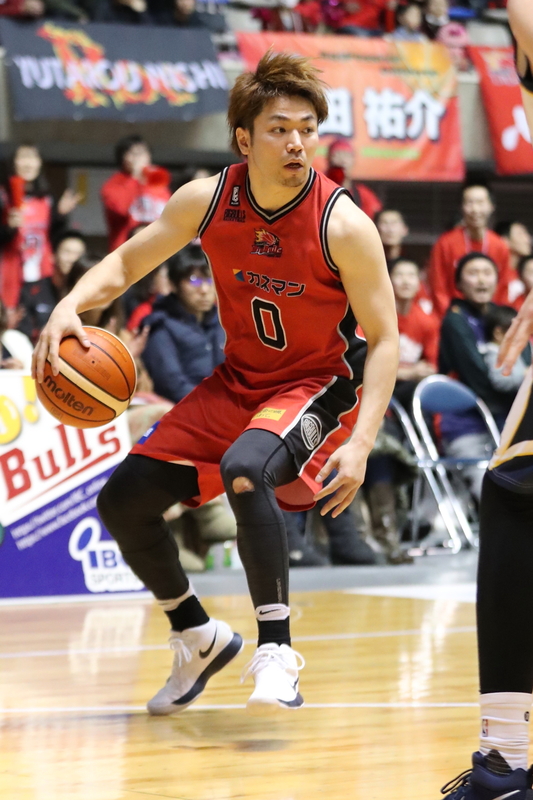 In the rapidly changing Japan pro basketball landscape, the Iwate Big Bulls’ run to the bj-league Final Four in 2015 is, well, ancient history. The team has experienced its share of ups and downs since then, when Dai Oketani completed his distinguished three-year run as Iwate bench boss. Through Saturday, the Big Bulls endured the worst losing streak in B. League history, a 24-game slide. 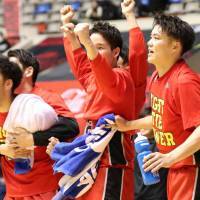 They ended it on Sunday by beating the visiting Gunma Crane Thunders 77-74 in overtime. 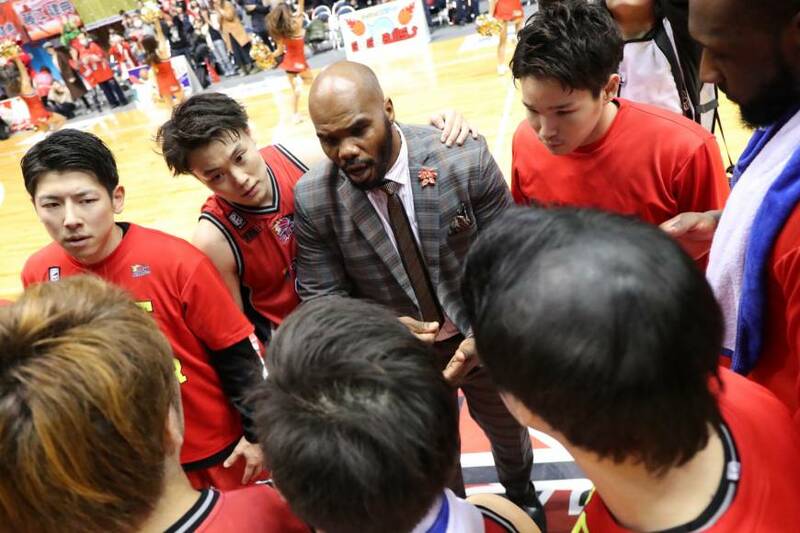 American Donte’ Hill, who guided the Tsukuba Robots during the NBL era (2013-15) before moving on to Vietnam, was brought in to resurrect the Big Bulls earlier this month. 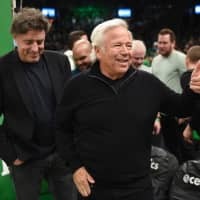 His hiring was announced on Jan. 10. 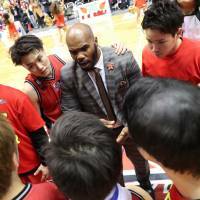 In Hill’s fourth game in charge, Iwate picked up a win. The Big Bulls (3-29) sit at the bottom of the standings in the 18-team second division. Sure, wins are important. But the 39-year-old Hill is focused on the big picture. 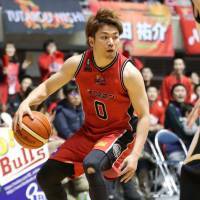 The Big Bulls began the season with 30-year-old Yasunori Ueda as head coach and general manager. 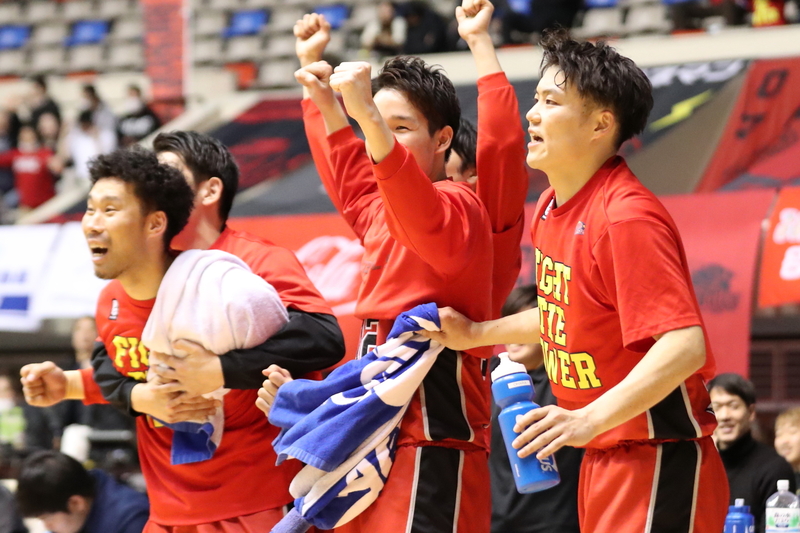 The team went 15-45 last season, and the general consensus was that Iwate had a lot of room for improvement in order to become an elite B2 team. It never happened under previous management. 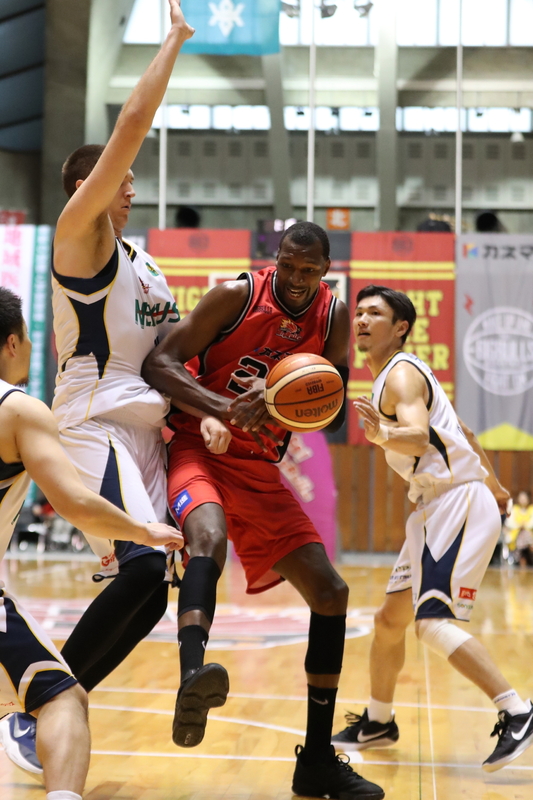 Since Hill’s appointment as new coach, the Big Bulls have added veteran forwards Lawrence “Trend” Blackledge and Gyno Pomare, both of whom played for Iwate during the Oketani era. There’s no secret formula for Iwate to rise in the East Division standings and guarantee that it won’t be relegated to the third division after the season. Instead, Hill is focused on preaching the importance of fundamentals. “My basic message has been to take care of the ball and rebounding defensively and communication on all phases of the game,” he stated. 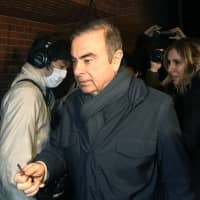 “My message has been let’s work together to build a strong team. We cannot fix the first half of the season. Let us focus on giving our fans a committed and enthusiastic effort for the second half of the season. Let’s give them our best basketball each and every minute we have. Iwate has struggled to score consistently. Among B2 clubs, the Big Bulls are last in field-goal shooting percentage (38.8 percent) and last in points per game (61.8). 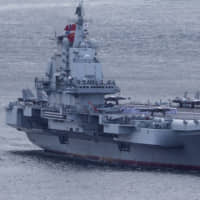 But the team’s revamped roster can look to start anew. Veteran post player Markhuri Sanders-Frison has appeared in 19 games and is averaging 11.9 points and 11.4 rebounds. He’s been a rock of stability for the club during a difficult season. Yoshimasa Ohara and Noriyuki Sugasawa are both scoring 7.0 ppg, while Tatsunori Fujie is the team leader in assists (2.8 per contest). Hill expects Sanders-Frison, a former University of California Golden Bear, to be more effective once Blackledge and Pomare get more acclimated to the team’s style of play. Patience is key for Iwate to build a model for sustained success. “Success is a building process and we must build upon it each and every day,” Hill insisted. “That is the key to us growing in this second half of the season. It won’t happen overnight, but with supportive players, coaching staff, and organization we can build for our community and fans. Moments after Alvark Tokyo center Alex Kirk put the finishing touches on his 40-point masterpiece on Sunday against the Shiga Lakestars, his coach, Luka Pavicevic, elaborated on why the Alvark sought to sign him for the 2017-18 season. Pavicevic commended Kirk for putting in the work that is necessary to keep improving. Kirk has scored in double digits in all but three of the Alvark’s 32 games to date. 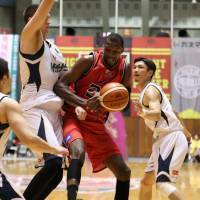 His Sunday effort was by far his season-high output; he scored 25 against the Levanga Hokkaido on Nov. 18. The 211-cm pivot is averaging 16.6 points, 8.3 rebounds and 1.3 blocks per game for Tokyo, which has a B1-best 26-6 record.Last season, he suited up for Anadolu Efes in the Turkish League. He had a five-game stint with the Cleveland Cavaliers in the 2014-15 campaign. After Sunday’s game, Alvark guard Daiki Tanaka, a dynamic playmaker and one of the rising stars in the B. League, was in his element discussing the team’s growing confidence and trust in Pavicevic’s day-to-day plans. Tanaka said there’s been a steady increase in the team’s cohesion and improved chemistry as the season marches on. “Game after game, we’re getting better,” Tanaka said. Pressed to provide a few details, a smiling Tanaka admitted he frequently watches the Golden State Warriors. What makes the Warriors appealing to Tanaka? “The team has superstars,” he said without hesitation, referring to Kevin Durant, Stephen Curry, Klay Thompson and Draymond Green. But Golden State’s style of play transcends everything else, according to Tanaka, who’s averaging 12.2 points and 4.7 assists per game. It’s all about “sharing the ball,” noted Tanaka. “Ball sharing is the key. And that leads to an exciting brand of ball,” he added. The Saturday-Sunday first-division series are as follows: Hokkaido vs. Tokyo, Niigata vs. Yokohama, Mikawa vs. Tochigi, San-en vs. Nagoya, Shiga vs. Chiba, Toyama vs. Shibuya, Shimane vs. Kawasaki, Shimane and Ryukyu vs. Kyoto. 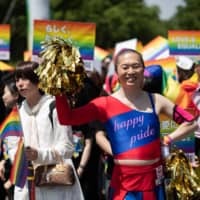 Nishinomiya plays host to Osaka on Sunday and Monday.